Historical Truth: Does It Exist? It has been debated for many years whether or not there is such a thing as historical truth. 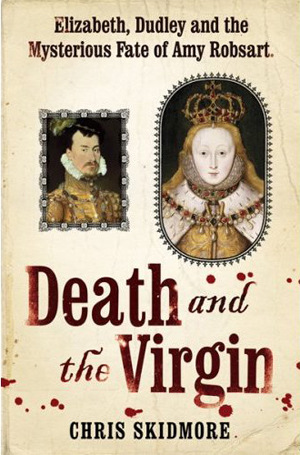 Reading Chris Skidmore’s Death and the Virgin about the death of Amy Robsart got me thinking about this, so I conducted some research, and here is my opinion on the matter of historical truth. The full truth doesn’t exist because evidence is missing and there is often a distinct lack of testimony, particularly in the earlier periods. We can’t be sure of exactly what happened in, for example, the death of Amy Robsart or the fall of Anne Boleyn, without talking directly to the people involved. Historians have to base what we see as truth on whatever sources survive. I think it is impossible to get to the ‘historical truth’ because of the lack of sources. No matter what you believe you can never be 100% sure. The only things sure are dates. For example, the Battle of Hastings took place in 1066 and Elizabeth I died in 1603. Everything that really matters – the thoughts, feelings and motives – are subjective. Skidmore’s perception of historical truth isn’t truth per ce, but is actually a compromise based on what is left. Historical truth cannot be taken literally because the truth is so untouchable. The word ‘truth’ is false in the historical sense because all ‘truth’ is a matter of perception and personal bias. The most poignant example of this, for me anyway, is the myth of Anne Boleyn’s sixth finger. There is absolutely no evidence for it – no sign on her skeleton, no mention of it in reports from the time, and no sight of it in portraits, yet it is almost established fact, especially to those who haven’t studied the background. But why? Many myths like this come about because they make the person seem more interesting. Often it also has a political or religious purpose. In the case of Anne Boleyn, it was a Catholic, Nicholas Sander, speaking out against the reformist Anne. It is also suggested that those who promoted this image of Anne were those who didn’t accept her as Queen, or her daughter as Queen. Historical truth often comes about because of rumour, but it can be just as useful as dates and events because it lets us know what was thought and believed at the time. This can also let us know why people acted the way that they did. Physical blemishes were a sign of witchcraft, possibly explaining why people took against Anne. But rumour is not historical truth. Values cannot be disputed, but they do not stand in place of historical truth. Values can influence what we think of the truth and how we react to it, and even how we go about uncovering the truth. It is possible that we pursue truth because we want to justify the values we live by. Values are a push to find the truth, but not the reason for it. Values shouldn’t be used as an excuse for the truth. The truth alone should be enough to warrant the research, without having to justify it further. Historical truth isn’t the values but the dates, events, and, more importantly, the motives, feelings and consequences of actions which have made up the past centuries. These things are so different to what we understand today that it is in pursuit of how things have changed that we will discover what we can of historical truth. The truth is what people make of what evidence does survive. There will always be someone who disagrees with what you write and will challenge your own view of historical truth and what it should be. People can have individual historical truths because history isn’t set in stone because of the paucity of sources. History nowadays is based as much on opinion and personal bias than it is on the facts and events. Lowenthal suggests that there are consequences to what we perceive as truth and it can affect how we see new evidence or opinions that come to light. From examples of historical truth, we can learn how few sources survive, particularly from the medieval and early modern periods. ‘Truth’ is easier to come by from later periods, like the twentieth century, as more sources survive in a wider variety of formats, and sometimes there are even still surviving eyewitnesses to an event.